AfriForum, the political group representing South Africa's white Afrikaner minority released a list of what it claims are 190 farms that the government is targeting for immediate seizure. Still on top of that list is the farm of Mr Johan Steenkamp (see our related coverage) who became world news last week after his hunting lodge was set to become the first expropriation of South African President Ramaphosa’s racially charged issue of ‘land re-distribution’. Although the South African government’s Department of Rural Development and Land Reform has denied the validity of the list, Mr Steenkamp showed the world press the letter he received from the South African authorities informing him of their wish to ‘hand over the keys’. Related coverage: <a href="https://thegoldwater.com/news/35160-Vox-On-Trump-s-South-Africa-Tweet-Whether-Or-Not-It-s-Actually-True-Is-Irrelevant"> Vox On Trump’s South Africa Tweet: “Whether Or Not It’s Actually True Is Irrelevant”</a>. If South Africa is keen on avoiding a repeat of the destructive land seizures that ruined Zimbabwe’s economy, it must show to the world press that it is willing to work out a fair deal for these farmers. 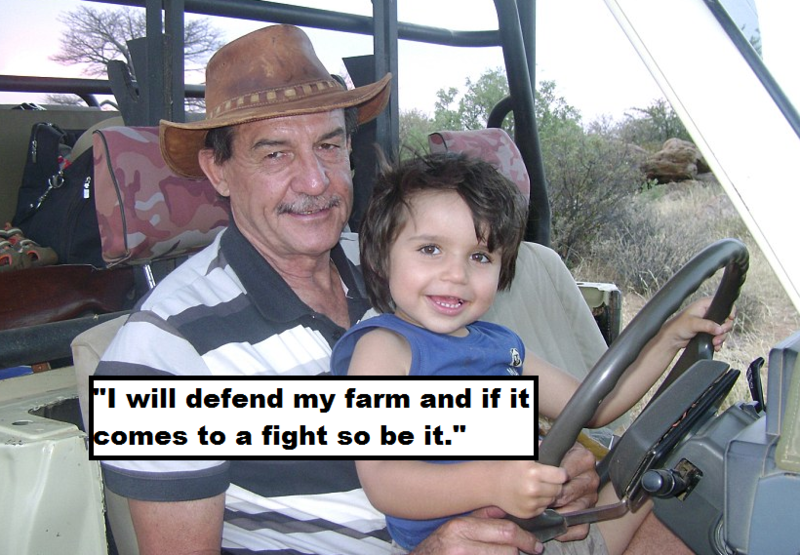 Mr Steenkamp bought the farm after the ANC was already in power and the ‘apartheid’ regime had ended. Cool let's just watch all this chaos unfold and watch Africa go back to it's tribal roots. The best thing to ever happen to Africans was the white man, at least white people ended slavery for them, meanwhile Islam literally brings it back this very day. What does that say about Islam the supposed religion of peace? Those negroes of the ANC have no claim to any of the land in South Africa. No one lived there when the Dutch arrived 400 years ago. Let's have a repeat of the Rhodesian war, but this time with US support. We can make South Africa great again!